NHK news anchor Yuko Aotani visited the KCET studios in Burbank last week, to help launch the 24-hour NHK World channel. BURBANK. ­— Despite some 20 years as an international journalist, newscaster Yuko Aotani admitted she’d had clung to a rather narrow impression of the United States. Aotani was in the KCET studios as the featured guest at a launch event for NHK World, the English-language network from Japan’s national public broadcaster, Nippon Hoso Kyokai. 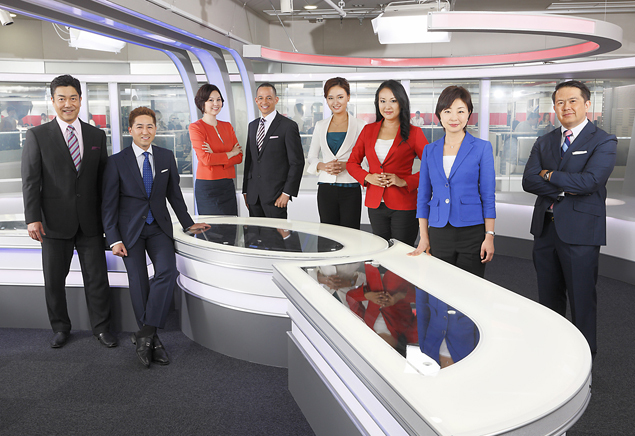 NHK World has begun 24-hour programming in Los Angeles, on KCET’s channel 28.4. 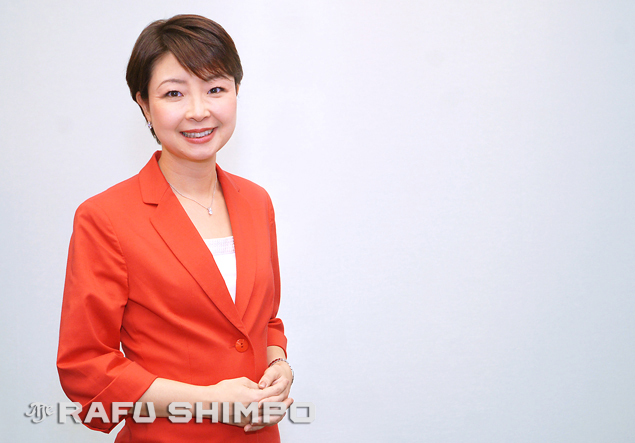 The lineup includes lifestyle and cultural shows, travel vignettes, pop music and variety programs and “Newsline,” the network news broadcast for which Aotani is an anchor. Aotani, who spent six years of her childhood in London and attended university in France, said the programming of NHK World is focused on broadening knowledge of Japan and greater Asia across the globe. “I think we can cater to news and lifestyle programs that will be of interest to people here, wherever they’re from,” she said. Aotani added that her news department is keenly aware of their mission to present what is happening in and around Japan to a largely non-Japanese audience; therefore, their approach must reflect their target audience. She acknowledged that third- and fourth-generation Japanese Americans might not have explored direct family connections to Japan, and that NHK World could possibly serve as a bridge between their heritage and their American home. “Japanese TV might not be of much interest to those people, so by broadcasting in English, perhaps we can pique their interest in visiting Japan, and we hope at NHK to help represent and reflect this diversity ourselves,” Aotani said. Yoshihiko Shimizu, president and CEO of NHK distributor Japan International Broadcasting, said in a press release that his company is looking forward to providing content to some 5.6 million viewers, in one of the most culturally diverse markets in the world. “We are excited to share such a compelling lineup with Southern California audiences that includes everything from cutting-edge news coverage of major global events to mouth-watering recipes and menu advice from our region’s foremost culinary experts to key trends driving Asian lifestyle and technology,” Shimizu commented. NHK World is currently available in 260 million households across 140 countries and regions. As a child in London, Aotani found herself often being asked about Japan, and she discovered she had few answers much of the time. NHK World is broadcast for free on digital channel 28.4 and is also available to subscribers of Brighthouse, Charter, Comcast, Cox, Time Warner and Verizon cable systems. For more information, visit www.nhk.or.jp/nhkworld or www.kcet.org.